Yusof B Ibrahim was among those who made their presence days ago at the International Champions Cup - Singapore (ICCSG) tournament which was held for the second time in the Lion City. 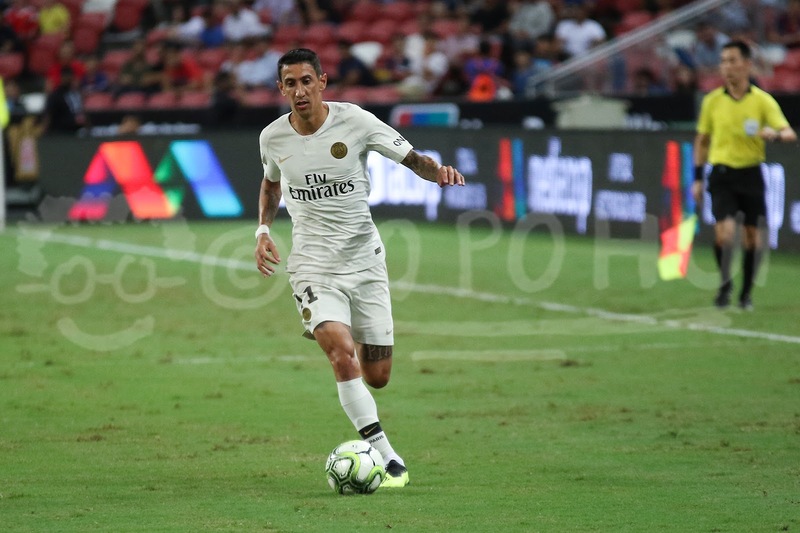 Here is his summary of the tournament after caught the likes of Arsenal, Atlético Madrid and PSG (Paris Saint-Germain) in action in a space of five days at Kallang. The second edition of the International Champions Cup Singapore tournament (ICCSG) was held in late July at the Singapore Sports Hub with likes of Arsenal, Atlético Madrid and PSG (Paris Saint-Germain) pitted against one and another in this annual mega tournament featuring some of the biggest football clubs in the world. 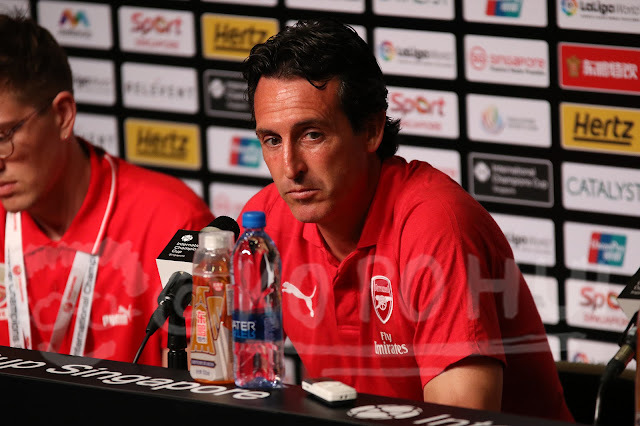 Early birds Arsenal arrived with a full squad which included former German international Mesut Özil who was, however, not featured in their opening match against Atlético Madrid, as new Gunners gaffer Unai Emery opted for a similar system favoured by his predecessor Arsene Wenger with Aaron Ramsey skippering the side. The highlight of this opening match was England youth international Emile Smith Rowe cancelled out Atlético’s Luciano Vietto’s 41st minute goal with a brilliant individual effort in just two minutes after the break to salvage his team to a one-all draw at full time. 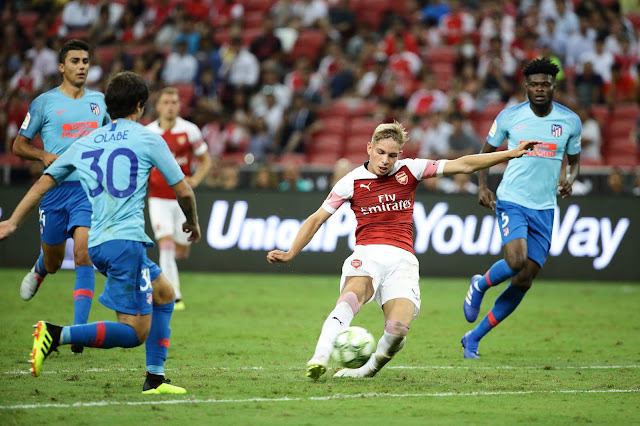 The 17-year-old has been one of the outstanding performers in Arsenal’s pre-season build up with his skills and ability to unlock some of the meanest defences. Nonetheless, all these were futile when the match went into lottery and saw Atlético won on penalties at the end of the day. Arsenal did not wait for long and bounced back strongly to beat PSG 5-1 in front of 50,308 spectators at the National Stadium two days later. Crowd favourite Özil was named as the Gunners captain for this match and opened the account in the 13th minute by finished off a cross from Pierre-Emerick Aubameyang who squared it nicely to put the 30-year-old through on goal to score with ease. 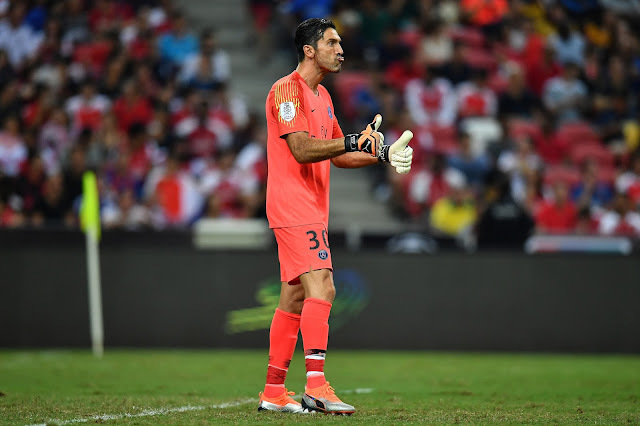 Handicapped by the absence of superstars like Neymar and Kylian Mbappé, PSG's young starters were obviously not able to match the dominance of Arsenal and had to rely on the experience of Italian legend Gianluigi Buffon in between the posts to avoid further bloodshed. The featuring of Argentinian winger Angel Di Maria in their next match against Atlético brought some cheers to the Parisans who were able to see themselves in a head to head position with the Los Rojiblancos. It was a nail-biter thriller towards the end of the final match of this year's tournament when Virgiliu Postolachi sealed the match in a dramatic fashion to see PSG beat Atlético Madrid 3-2 in dying minutes. Despite the non-appearance of several star players who opted out of this year's ICCSG after the World Cup, fans in Singapore did witness a few uprising stars in the likes of Matteo Guendouzi, Moussa Diaby, etc. who all have the potential to carve a niche of their own in years to come. The same way that the Lion City Cup grooms future SG Lions, the ICC grooms future internationals. Pity the non-competitive nature of the tournament.